Summer; no beach, but everything else. Everything outside here is exceptional. The mountain hiking, mountain biking, climbing, walking, camping, picnicking, skateboarding, tennis, running; all are made outsized by the terrain, the altitude, the remoteness. But no matter your skill level you will do what you love or what you always wanted to try with so much enjoyment. There are a thousand guides in paper and in digital form. The purpose here is just to whet your appetite; to let you know that you could try a new activity every day and never run out. But there are a few resources that might not be that well known. There is no shortage of advice, assistance, and knowledge locally. One that you might consider is Tin Shed Sports in Nederland. Skateboarding and the Nederland Skate Park. 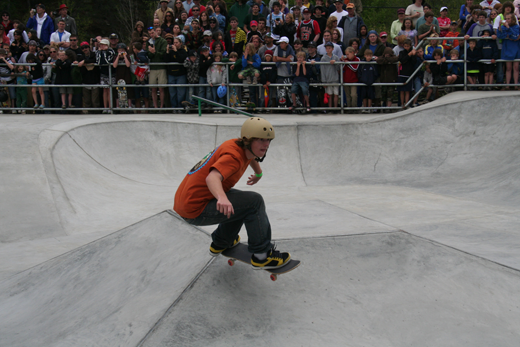 A local non-profit Nedsk8 with support of the Community and such organizations as the Tony Hawk Foundation opened a half million dollar skate park next to The Teen Center in 2009. The park is open to all. World Class rock climbing is just a few minutes from The Goldminer. If this is your sport, you probably know of Boulder Canyon. You passed the site if you took State Highway 119 from Boulder to The Goldminer. Several people in the Guest Book on this site mention gold panning as a favorite thing to do. The Hotel has a pan you can borrow to try the stream in Eldora or you can be a little more serious by trying commercial sites such as "Vic's Gold Panning" just south of Blackhawk about half an hour away. The local Ace Hardware has all the supplies you will need. Let us know of your favorite thing to do in the Summer and we will add it to this list so other Guests can try it too.